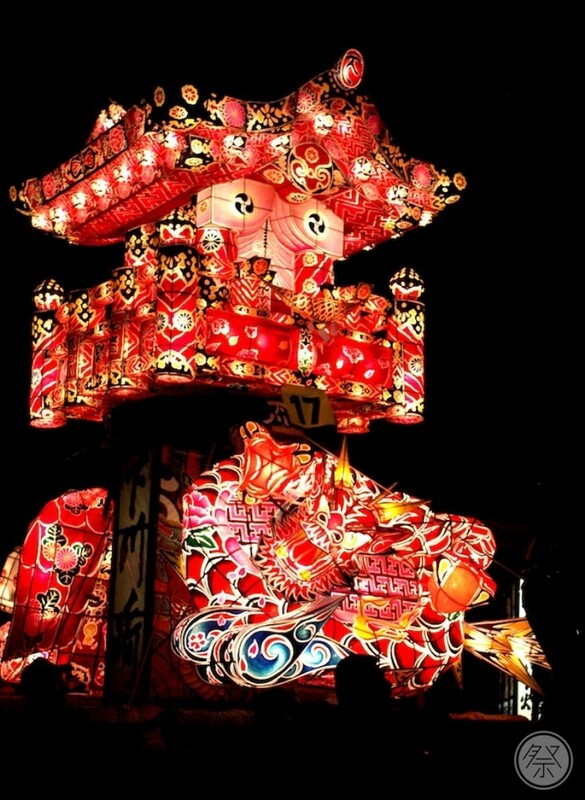 Watch the thrilling clash of massive Lanterns! A fantasy-like festival woven together by the energy of the locals. 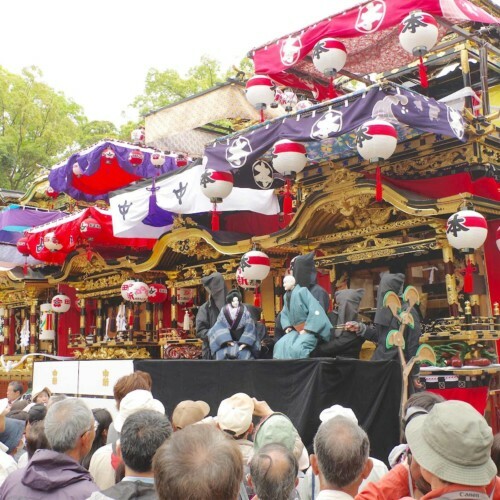 The Tzusawa Yotaka Andon Matsuri is held annually at night on the first Friday and Saturday of June in the Tzusawa region of Oyabe City to pray for a rich yield of crops. 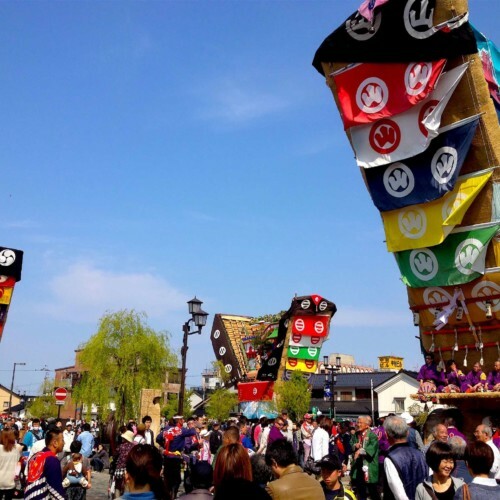 The trademark of this festival is the massive Yotaka Andon (Yotaka style lanterns made from bamboo, paper and dye), that come in 3D shapes of such things as dragons, peony, butterflies and cranes. Large ones can reach up to 7m in height, 12m in length and take months to build by hand. 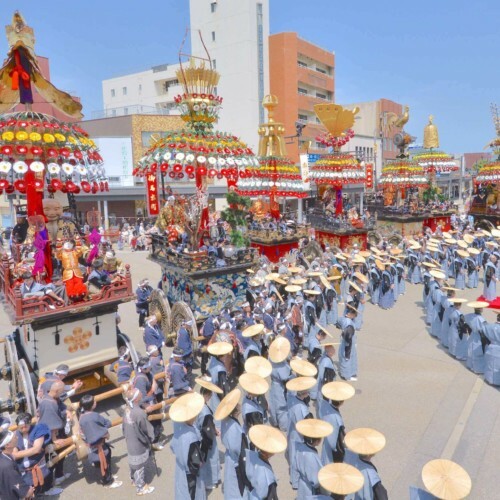 On the day of the festival, from 19:00, after the children finish their procession of Andon, the adults bring out the massive ones to the melody of the taiko drums. The climax is when these Andon are bashed into each other in order to destroy the opponent. The mystifying sight of the Andon at night along with the energy of the locals and viewers makes this festival a solid and powerful experience. 1. Massive lanterns collision featuring human valor and soul! 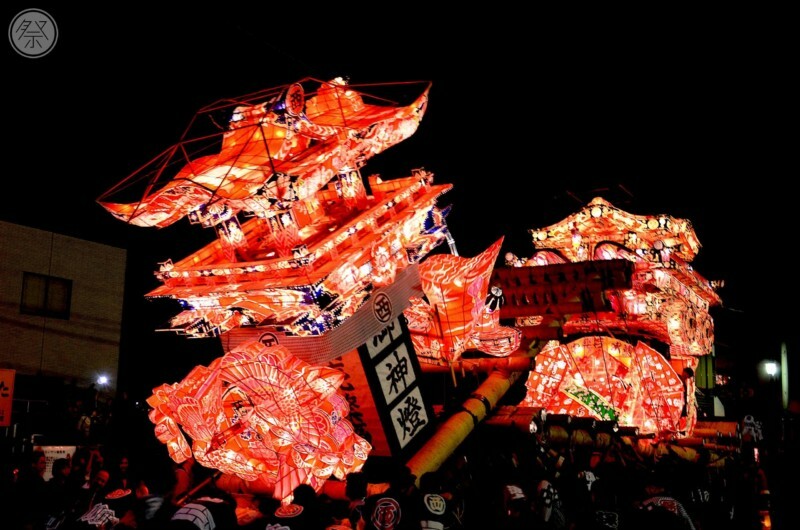 The highlight of the festival is the Butsukariai, when the lanterns are crashed into each other. The spectacle goes down between 21:00 and 24:00 on both days. The massive works of art, built with the heart and soul of locals, face off and are then launched at each other at the go sign. The object is to destroy the other. 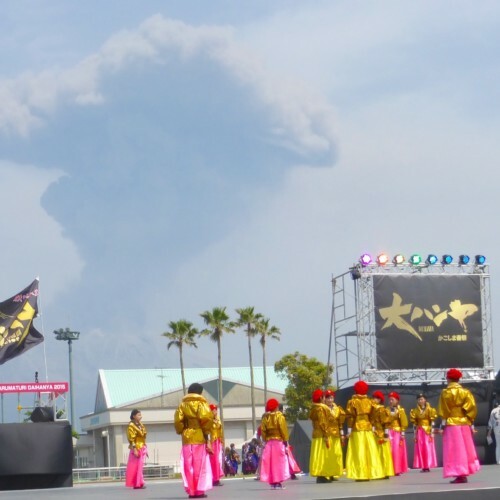 It is also a clashing of valor and souls and the most exciting moment that brings the locals and viewers together alike. 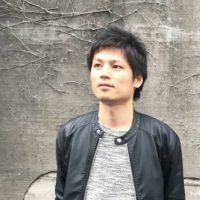 Festival Dates June 6th (Thu) through the 7th (Sat), 2019. Held annually on the first Friday and Saturday (main event), and the first Thursday (eve event) of June. General Participation Viewing only. Participation is regulated due to danger. 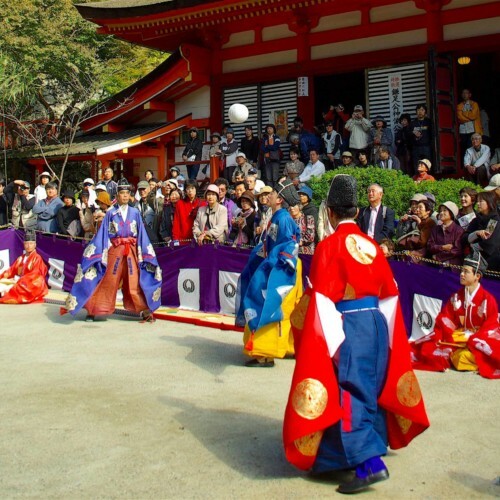 Participation of the pulling of the Andon is not allowed except for members of the preservation committee or those wearing the local formal wear.